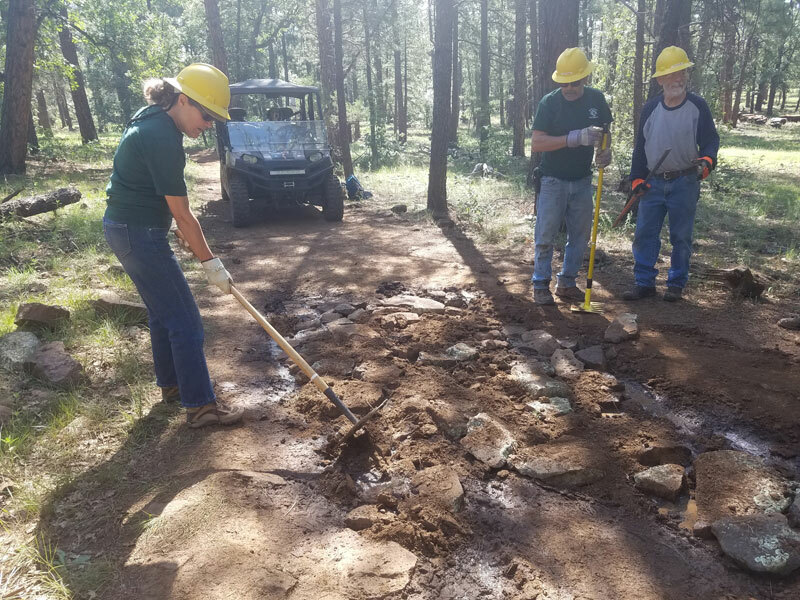 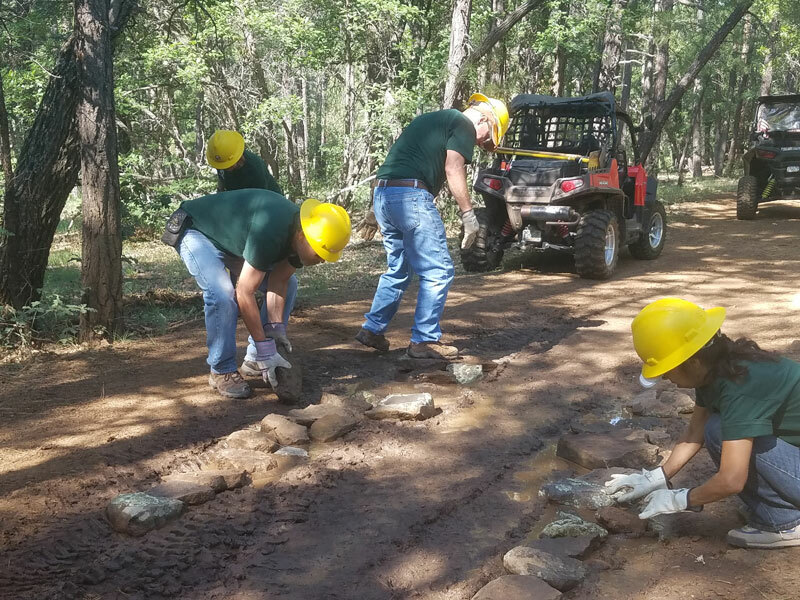 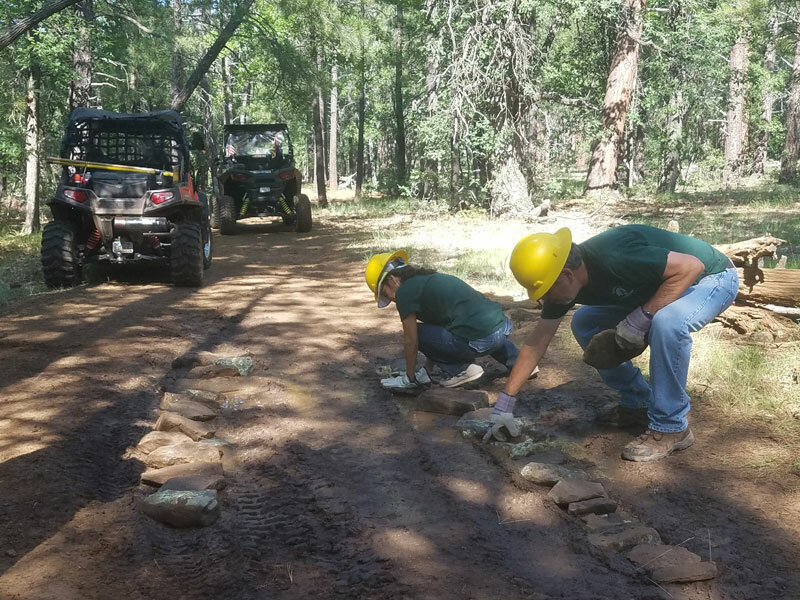 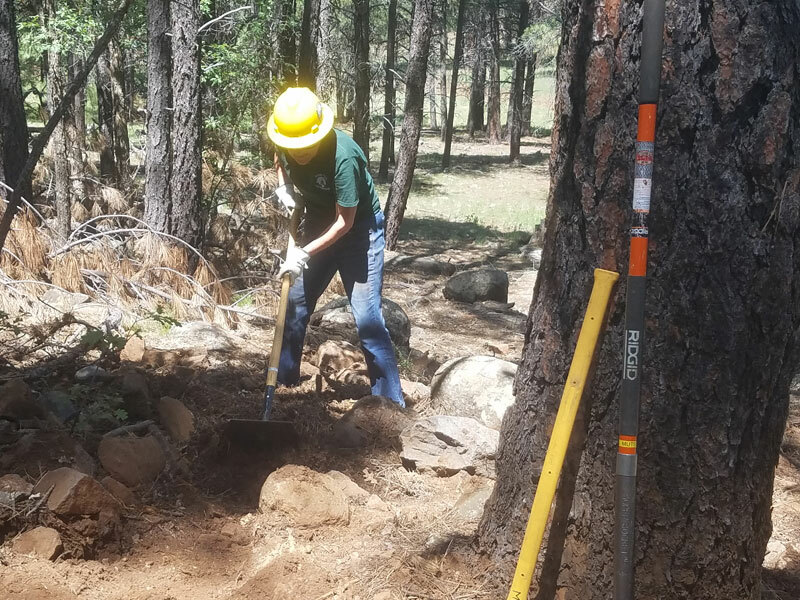 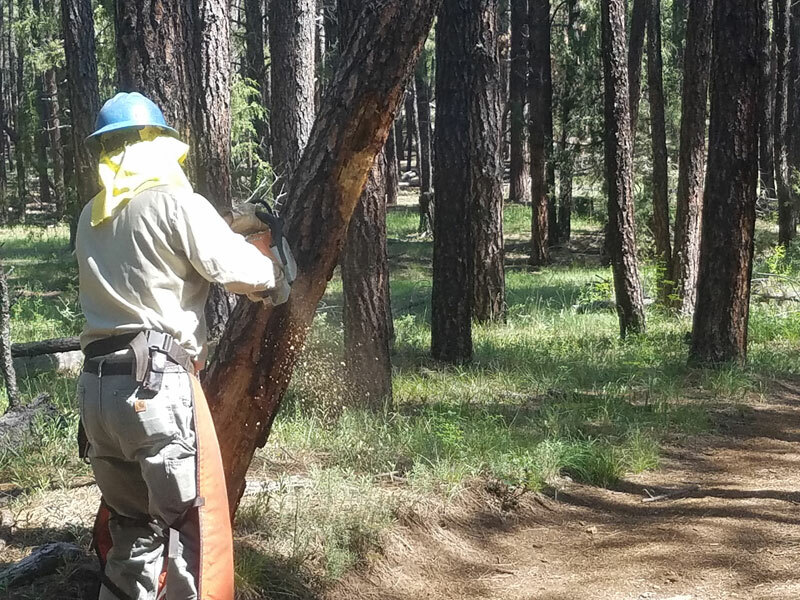 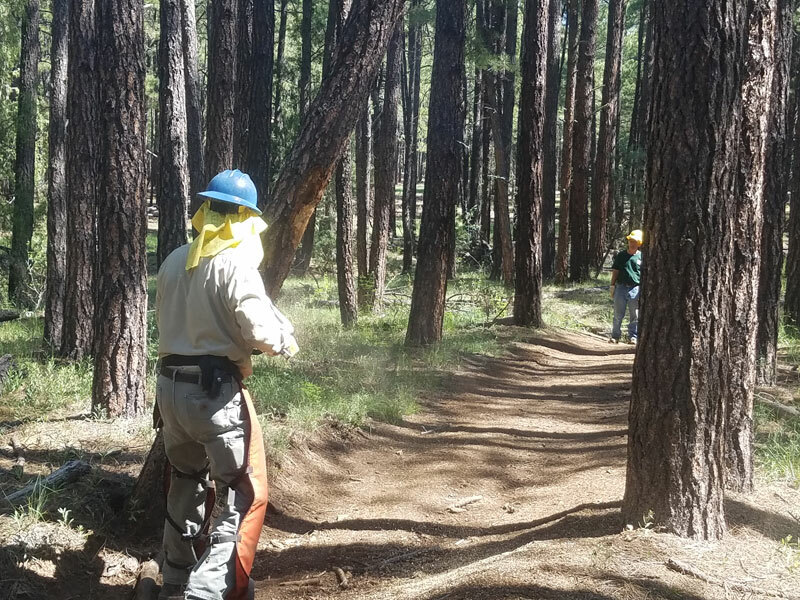 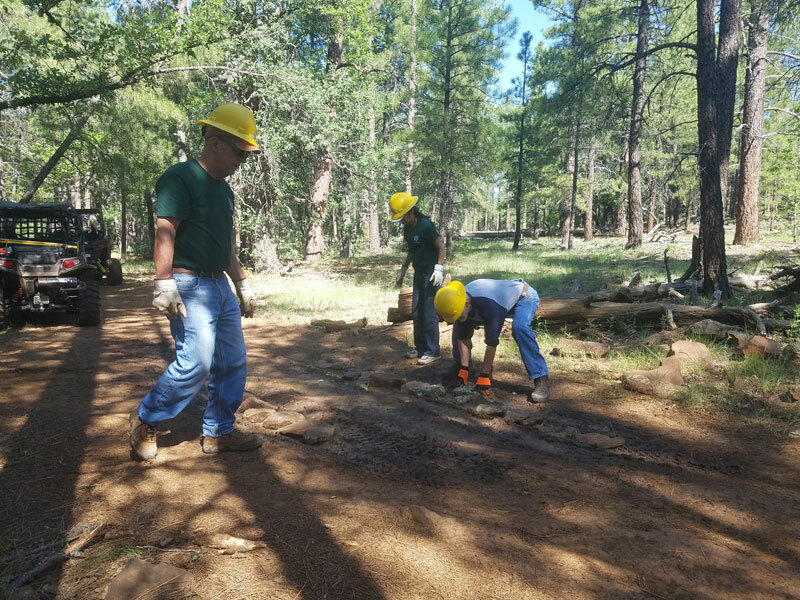 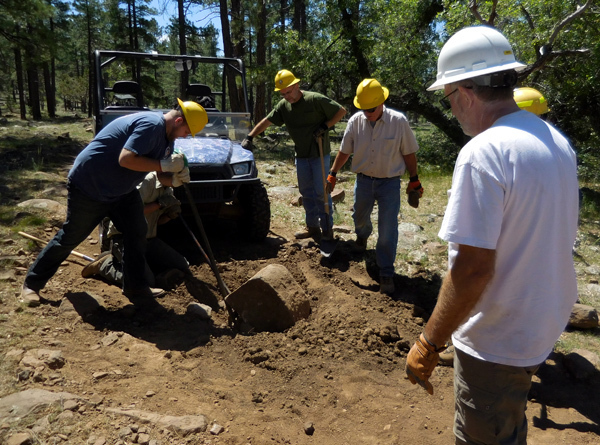 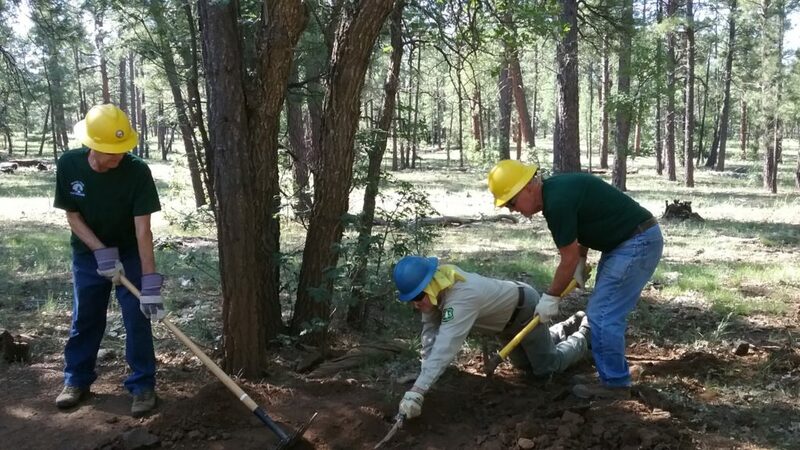 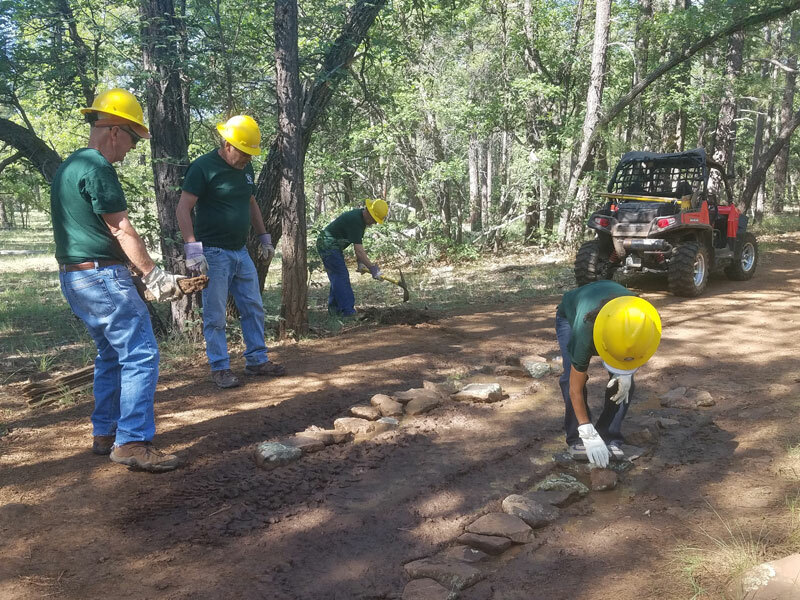 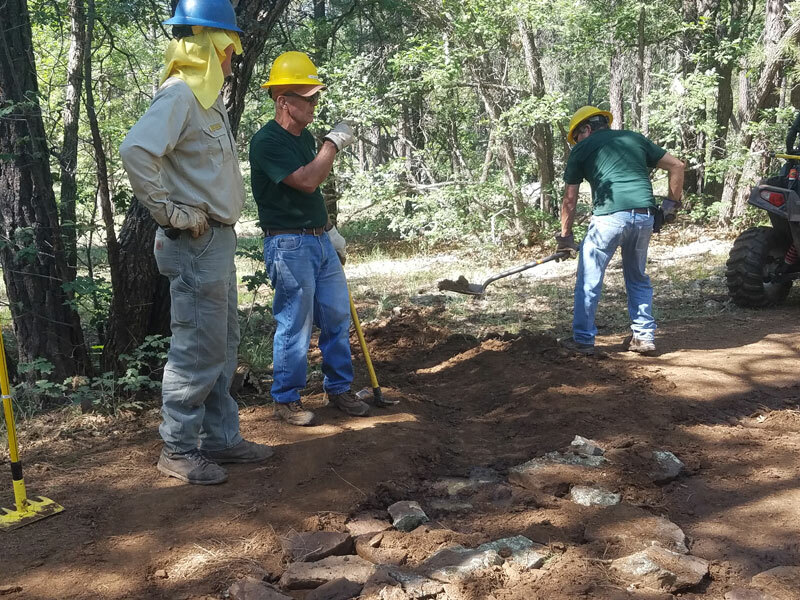 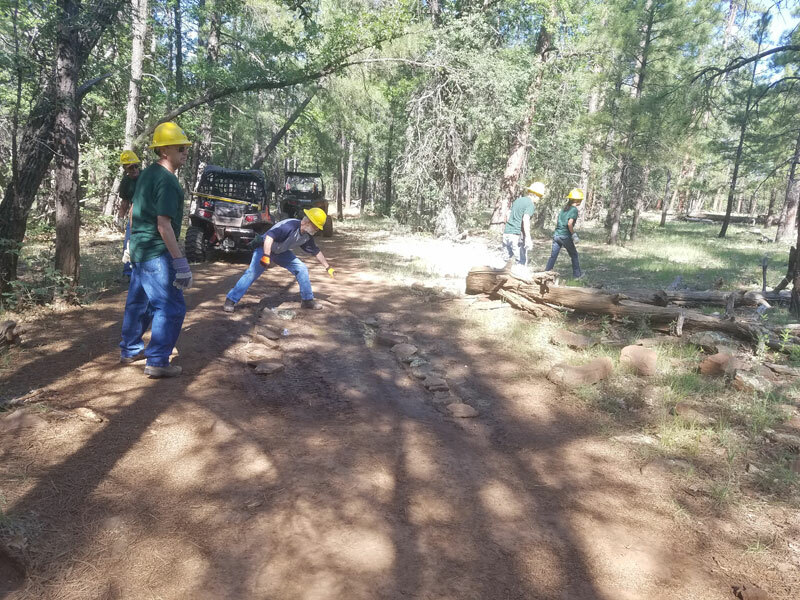 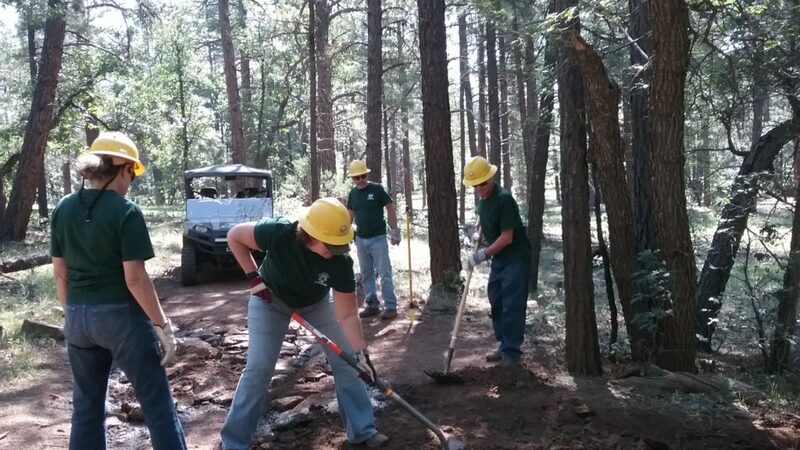 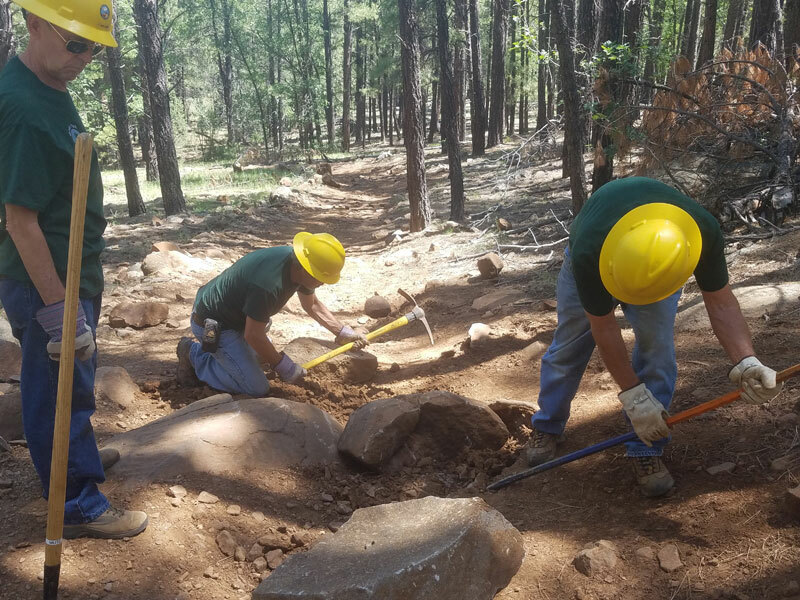 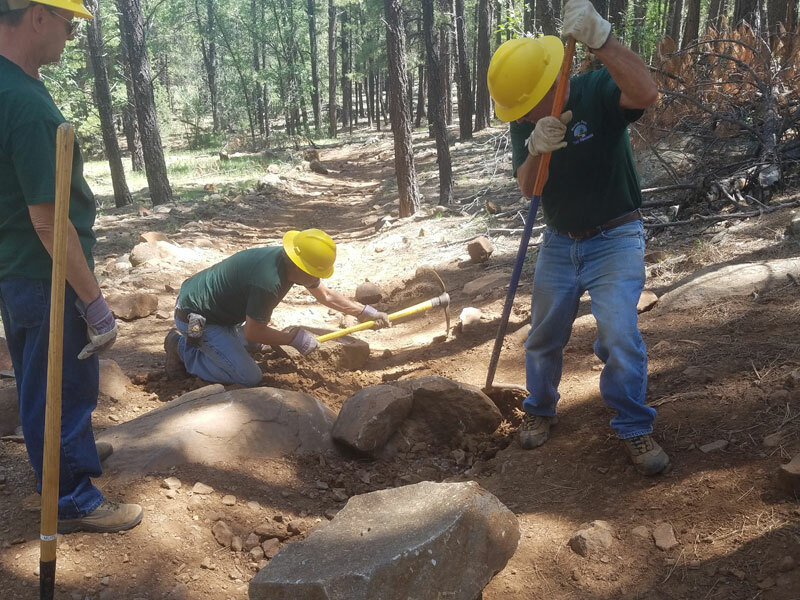 On Frog Tank this month, one team added rock and drainage for an area with standing mud, removed some dying trees that had become a safety hazard and improved a bad spot on the OHV Trail. 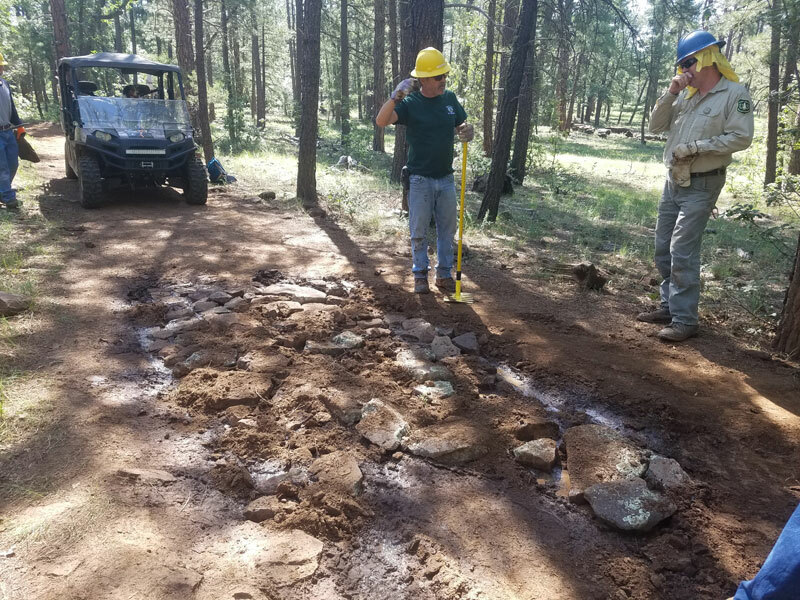 Frog Tank Connector fix nearly done... No more mud. 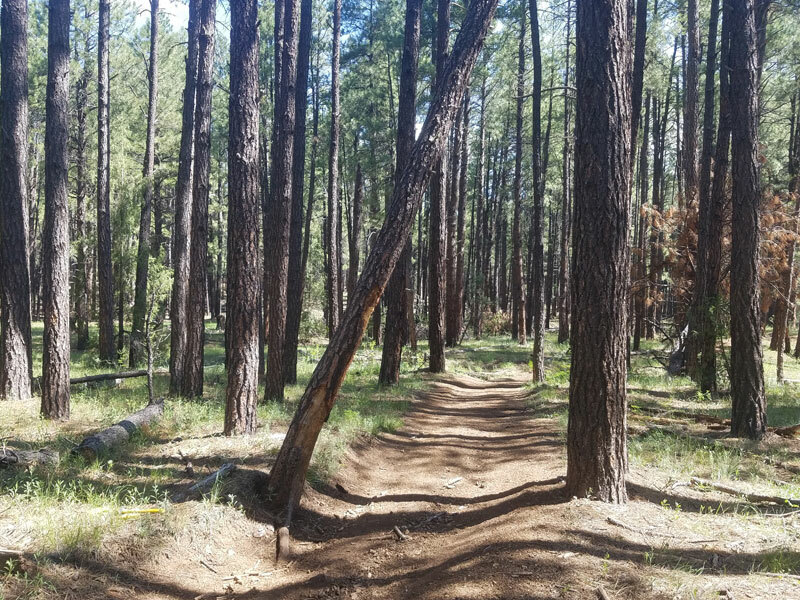 Dying and leaning tree causing a safety hazard for the trail.